Ramón Guillermo’s enthusiasm has kindled the interest of the other scholars (Myfel Joseph D. Paluga, Maricor Soriano, and Vernon R. Totanes) who have contributed to this volume. 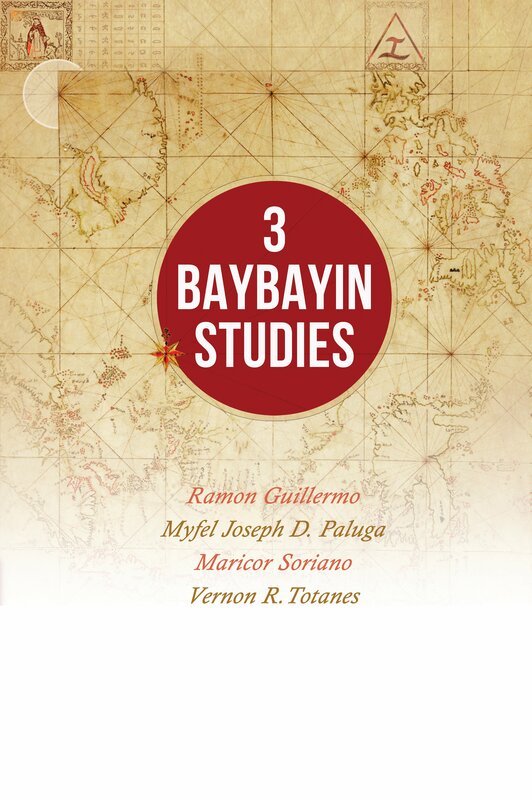 The general approach of this invisible faculty contrasts greatly with the amateurish interpretations tinged with superstitions that have plagued Baybáyin studies in the course of the twentieth century, and may have contributed to the general disregard for this field among the majority of Filipino intellectuals. Now that the Baybáyin has been recognized as one of the deep components of the Filipino identity, it is a good thing that serious scholars should have endeavored to proceed to a scientifically and historically correct presentation of what should be known about it. Ramon Guillermo teaches Philippine Studies at the University of the Philippines-Diliman, Quezon City. He had originally intended to write a novel on insane combinatorial obsession and the Calatagan Pot Inscription but instead ended up going on a rather long and strange detour into baybayin philology. The intended novel turned to ethnomathematics and became Ang Makina ni Mang Turing (UP Press, 2013). Myfel Joseph D. Paluga teaches anthropology and social science courses at the Department of Social Sciences, College of Humanities and Social Sciences (CHSS), University of the Philippines-Mindanao, Davao City. He cannot seem to be at home with anything in academic life, and so after macaques, evolution, science studies, Žižek and, lately, sago palms—in Mapping Sago: Anthropological, Biophysical, and Economic Aspects (2016)—he is now into spiritual violence with Pantaron Manobo epics. Jean-Paul Potet is one of the few French linguists working on Tagalog. His dissertation was entitled “La morphologie du philippin” (Paris EHESS 1983). He is the only French person to have translated a Tagalog novel into French and has recently published numerous books on various aspects of Philippine language and culture. Among these is his book Baybayin, the Syllabic Alphabet of the Tagalogs (2014). Maricor Soriano is professor of physics at the University of the Philippines who specializes in developing tools and algorithms for video and image processing. Her work spans multidisciplinary domains such as marine ecology imaging, cultural heritage conservation, biomechanics from video, and medical imaging. She was Outstanding Young Scientist in 2006, was a Third World Academy of Science Physics Prize recipient in 2009, and was one of The Outstanding Women in the Nation’s Service (TOWNS) awardee in 2013. Vernon R. Totanes finished his PhD at the University of Toronto, where he wrote his dissertation, entitled “History of the Filipino History Book,” which won him the National Commission for Culture and the Arts’s Young Historian’s Prize in 2015. He is the only licensed librarian who has been a contestant on Kapamilya, Deal or No Deal, and the only Filipino librarian to be featured in the 2012 Men of the Stacks calendar.